Appearance can be a huge determining factor in how much we trust a person upon first sight. While it's true that many medical workers will likely (or at least hopefully) look well put together and professional, if they didn't have proper attire you might give a second thought to trusting them with your health. As a medical professional, it's important to have patients trust you fully. Chesapeake Uniform offers a wide variety of options to put together your perfect medical uniform. Nurses should be quite familiar with the necessity of scrubs. This iteration of a medical uniform provides wearers with comfort needed for long shifts and intense moments. Additionally, since they've been worn in medical practice for years and years, they're important in differentiating between nurses and patients. Scrubs are a necessary piece of professional wear, keeping a clean and smooth operation in medical building. Similarly, lab coats provide protection from bacteria, as well as provide a similar visual cue of differentiation. 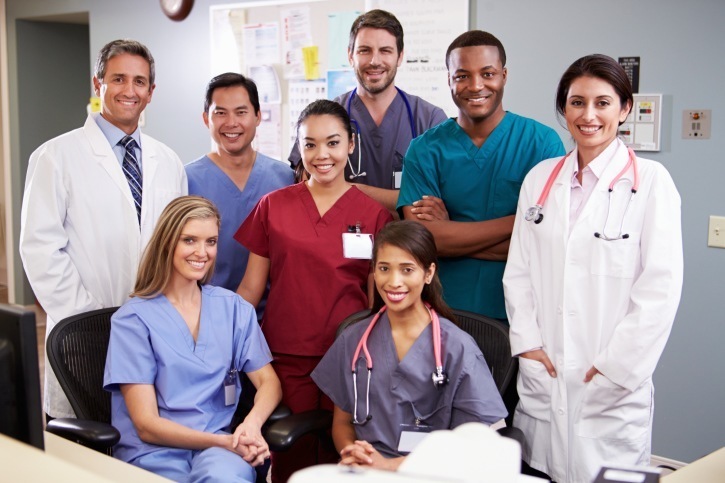 Wherever you may work that requires a medical uniform as your professional wear, that place is guaranteed to hold cleanliness and order in the highest regard. If your scrubs or lab coat look anything less than perfectly clean, it might indicate to patients that the cleanliness of your facilities could be less than stellar. As was mentioned above, appearance is huge factor in judging trust, and your medical uniform should display the same attention to detail as the building you're in. While form and function may be of higher importance in this case, just because your medical form has a particular function does not mean it can't look good! Chesapeake Uniform offers a variety of professional wear styles -- you're bound to find a medical uniform that suits you. Buy Your Next Medical Uniform from Chesapeake Uniform!